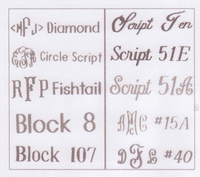 Style: White Monogram: Name Personalization: Date Personalization: Font Type: Please Choose OnenoneFishtail MonogramCircle Script MonogramScript 40 MonogramScript 51A for initials and names Color: Please Choose OnenoneWhitePinkBlueGreen Who is this item for? 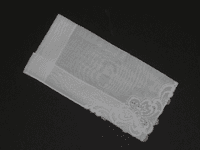 Delicate hankie with one corner of intricate swiss lace. A lovely gift for any bride.